I was never sure if Batgirl had a Batsignal, but it doesn't really matter. 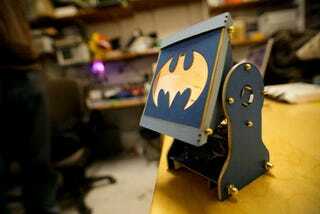 I'm gonna build my own using Arduino, some LEDs, and these instructions anyway. And then I'll track down a slinky costume and take down some troublemakers.